Probably there is no such a global or local protest, where at least someone is wearing a Guy Fawkes mask. In the beginning they looked rather threatening to put their position across. But then as they became common and the public got used to them, their original point was almost lost because of the masks being over-used. 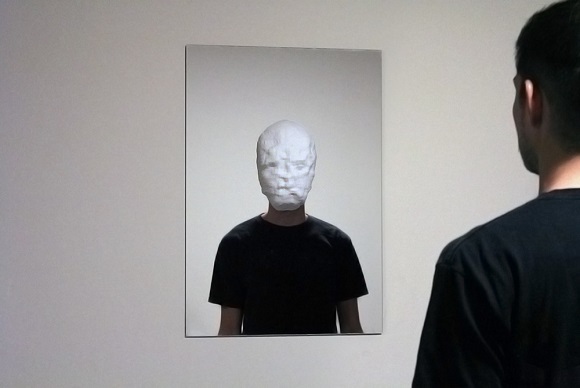 So there has appeared a new 3D printed mask quite recently – the one that puts forward clearer political points better than the common anonymous masks. The new mask also carries an important political message concerning technology, surveillance culture and civil liberties. If the mask can’t force you think, then the technology of the mask is very likely to. 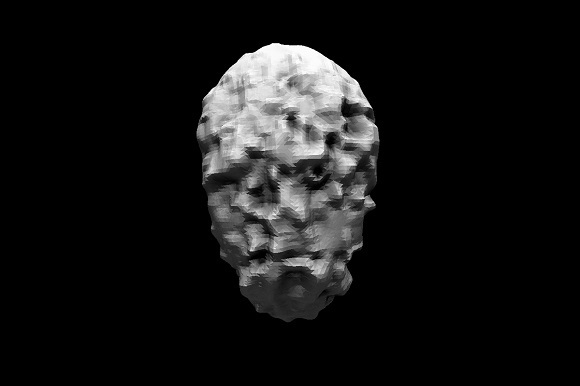 Artist Sterling Crispin makes use of 3D printing to test the fall in the people’s individual selves to a repetitious mathematic algorithm by catching the second that took picture of faces come into sight as data of the setting of social media companies. If you still can’t rely on the social media in general and Facebook in particular use your photos and personal data, Crispin’s work will surely comfort you. On his official web-site he declared that he is troubled with the vigorous development of supervision technology and its influence on the human’s identity and the way they interact with technology. When he says “technology”, he means individual types of appliances, devices and systems like software and cameras. When he signed up on Facebook many years ago and chose his own picture as his profile picture, he thought it was clever of him. 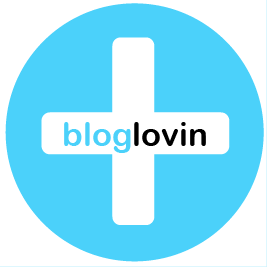 He could hardly think of collective photo sharing and personal information sharing and how they empowered the technological turn and, eventually, how they changed the way people treated themselves, one another and technology. Crispin makes his point sharper than any of the Facebook avatars. When you post a new picture on Facebook, its DeepFace System starts running its algorithms behind the scenes to analyze your physical traits in a mathematical way. Each cheekbone, eye, chin and nose becomes the data point that is used to classify people’s facial traits. This information will be used to single out humans when the pictures are uploaded to their server. Crispin uses these data for his masks converted into illustrative forms – data-masks. 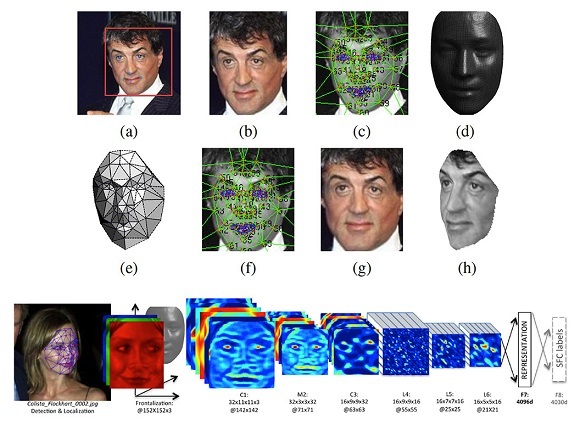 The example above shows you how facial recognition programs can split the human face into data points and models. For his masks Crispin makes use of the biological data that are collected by other teams, which are just as worried about social meanings of facial recognition technologies. He receives photos with the names from the web, processes them with the facial recognition programs and splits them into data points and patterns. Then he 3D prints the images, which will become masks to symbolize the unique human face and to show how it looks behind all the data. If we consider all this procedure once again, we will notice that he reverses the Facebook process. First Facebook gets you as a set of data. Crispin begins with photos and works rearward to some place where you’re anonymous. And after that he 3D prints it. Facial recognition technology may seem frightening for the first time. That’s why Crispin developed an artistic statement that conveys the feeling of the technology. He expresses his political and philosophical concerns through the use of technology to test it. But he insists that “Technological other” is head and shoulders above the other of the kind that record and store the personal information and facial traits. And he gives reasons. A common American horror film’s feature is a monster – a zombie or a vampire image exists in people’s minds. But probably the horror story typical of the 21st century is the result of the harmless world of social media sites. 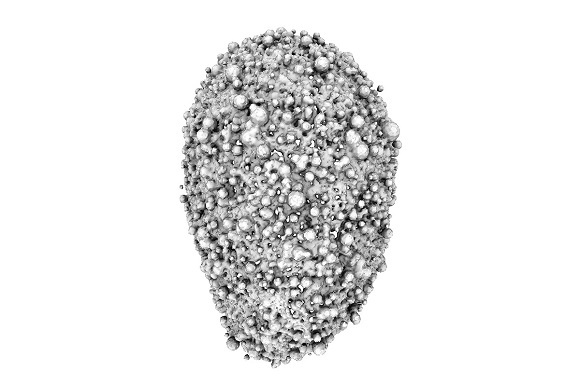 DATA-MASKS by Crispin look like Michael Myer’s omnipresent “Halloween” mask without openings, when exposed to extreme temperatures. The true horror story may continue living here, suggests Crispin, only thanks to participation in surveillance technologies and techno-zombie-like exposure to.